Over 28 Nations have now made entries into the H.H. Sheikh Mohammed Bin Rashid Al Maktoum UK Endurance Festival at Euston Park UK. Ten of those Nations have entered the CEIO2* competition being held on Saturday 18th August 2018. The CEIO competition is the first Endurance CEIO to be held in the UK and many Nations are using the Team Competition as part of their build up ahead of the 2019 European Championship which is being hosted at Euston in August next year. The format of the FEI CEIO allows for Nations to enter both Individuals and a Team. As a high level event the FEI rules require all horses competing in CIOs to have an FEI Passport or an FEI Recognition card and the minimum age for Endurance horses is 8 years. However, the prize money for being placed in either the CEIO Individual Classification or the Team Classification reflects the high level of competition expected – a total of £15,000 for the top 5 Individuals and a total of £100,000 for the top 5 Teams. In addition to the Standard CEIO prize money there is a total of £15,000 being offered for the Best Condition Award. Add to this the very generous allowances being offered to all competitors to assist in travel costs, accommodation and a successful completion bonus, interest in the H.H. 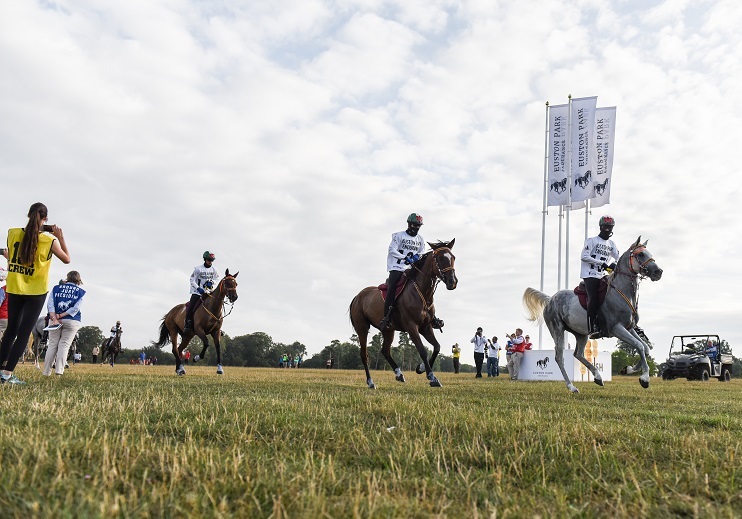 Sheikh Mohammed Bin Rashid Al Maktoum UK Endurance Festival is rapidly growing as the event gets closer. Chef d’Equipes from each Nation will be required to name their Team members (minimum 3, maximum 5) after the CEIO 1st Inspection which is being held between 15:00 – 16:30 hours on Friday 17th August 2018. All other combinations can then compete as individuals within the CEIO. In addition to the CEIO the H.H. Sheikh Mohammed Bin Rashid Al Maktoum UK Endurance Festival is also hosting a CEI3*, a CEIY2*, a CEI1* and a CEIJ1* – all with very attractive prize money and allowance to competitors. With the weather forecast predicting a warm dry weekend for the Festival the excitement is starting to build ahead of what should be a fantastic weekend for Endurance Sport at Euston Park.